The sheriff’s deputy killed during a mass shooting at a bar in southern California “died a hero” trying to prevent the assailant from taking more lives, Ventura County Sheriff Geoff Dean said Thursday. Sgt. Ron Helus, a 29-year veteran of the Ventura County Sheriff’s Office, was killed late Wednesday when he responded to an active shooter at the Borderline Bar & Grill in Thousand Oaks, California. “He said, ‘Hun, I got to go. I love you. I gotta go on a call,'” Dean told the Los Angeles Times. 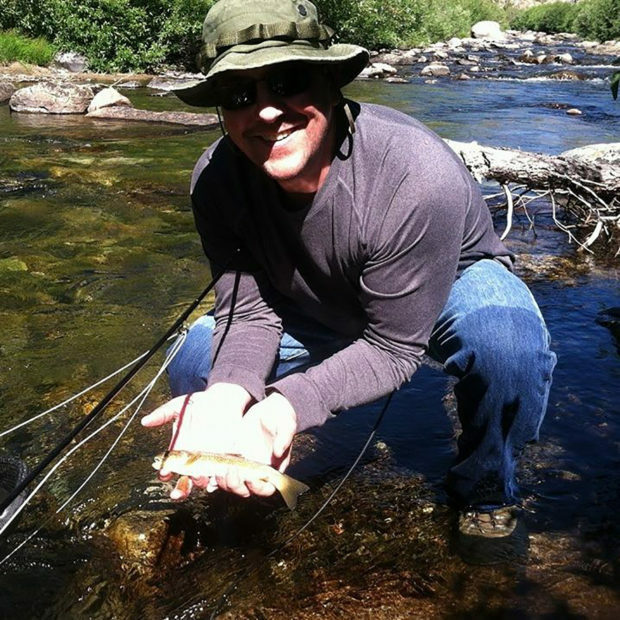 According to posts on his Facebook page, Helus was an avid fly angler and outdoorsman. Many of the publicly available pictures on his page show Helus and his son trout fishing and exploring California’s rugged backcountry. A firearms expert who taught weapons safety and concealed carry courses, Helus was contemplating retirement in 2019, Dean told reporters. The University of Oklahoma master’s degree holder also planned “to pursue my doctorate degree in the near future,” according to his LinkedIn page.